In Cornelius’ fantasy debut adventure, two heroes embark on new lives in the hope of overcoming their dark pasts. Christabel Sellers is half elf and half human—a rare combination, made even rarer by the fact that her parents were in love. After her human father sends her to live at the elven palace to learn magic, she finds that her lineage makes her the target of scorn. She’s bullied by other students, humiliated by teachers, and even draws the ire of some administrators. Despite the abuse, she flourishes at the academy, driven by stubbornness, a legendary temper, and her guilt over the death of her mother—whom she intends to resurrect, once she masters magic. In another part of the world, a boy named Steven had a similarly difficult beginning. In order to avoid being sacrificed by his own mother, he was forced to kill her, leaving him without family. He soon meets an older man, a wanderer named Brogan, who teaches him how to survive on the edges of society. Both teenagers come of age during the book’s five-year span, experiencing all the triumph, fear, and confusing romance of adolescence. 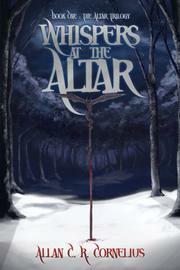 All the while, an evil cult begins to spread across the land that will drastically change their lives. Although much of the novel takes place at a school for magic, the novel smartly eschews a now-tiresome Hogwarts-ian ethos, instead focusing more on Christa’s experiences in elven society. The bigotry directed toward her—both casual and overt—is handled with surprising nuance, and the progression of her internal conflict feels natural. Unfortunately, the appealing momentum of Christa’s story isn’t matched in the rest of the book. Steven’s unclear motivations and relatively scant presence make him feel like an occasional interjection, rather than an equal protagonist. The two storylines are also entirely separate until the very end, which only adds to the feeling that the novel would have been better—and still complete—if it had concentrated on Christa’s tale alone. A disjointed adventure, featuring one very good plotline.